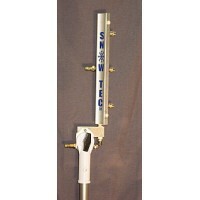 Home » Snow Gun Accessories » Aluminum Tripods » Aluminum Snow Gun Stand: NEW LOWER PRICE! 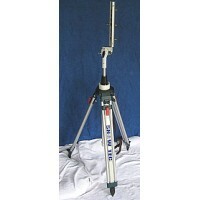 Snow-Tec's Aluminum tripod = "HANG TIME". The higher the snow gun, the better the SNOW QUALITY! "HANG TIME", the amount of time & distance the water exiting a snow gun has to freeze before reaching the ground. 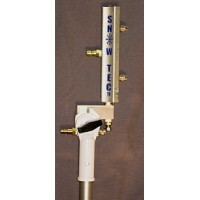 Greater adjustability in different weather conditions, setting the snowgun low in windy conditions or maximum height in calm weather. 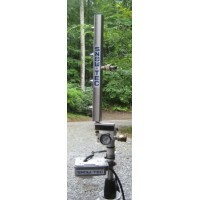 The tripod is fitted with custom pole sleeve and includes a 24" to 48" telescopic pole. 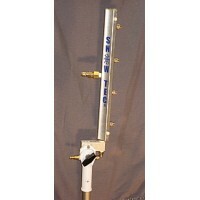 Quick set-up and compact storage size makes the Aluminum Tripod Snow gun Stand the perfect snow making package!